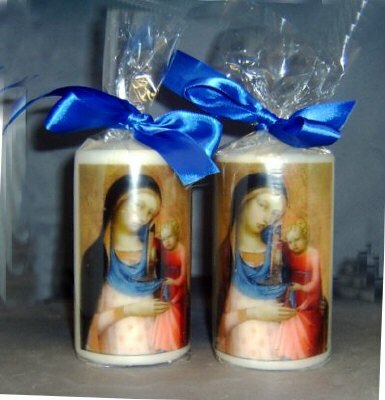 Madonna with child replica painting on this very high quality ivory church candle, gift wrapped as shown. approx 5" high x 3" diameter. Hand made.